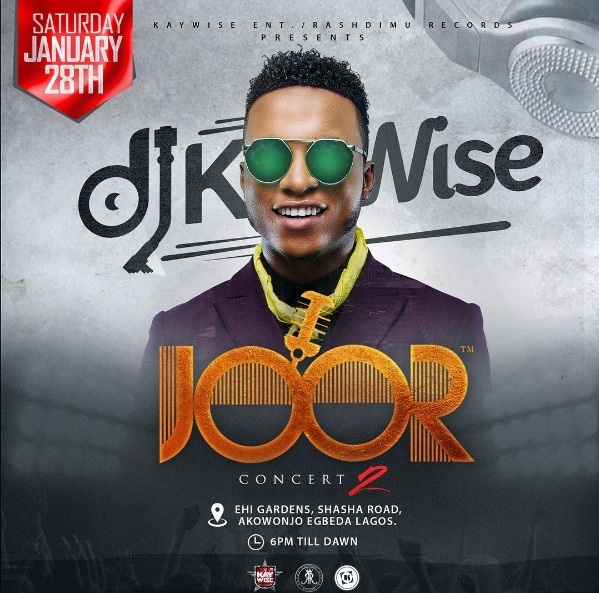 2016 has been a successful year for World famous Sensational Disk Jockey ‘’DJ KAYWISE’’ after the successful release of his Street Banging Song titled CARO featuring Industry’s Finest Tekno & Falz, this January 28th 2017, Dj Kaywise Present JOOR CONCERT Season II. Joor Concert is one of the biggest music showin Lagos State with over 15,000 fan followers on the Mainland also reaching out to many youths, both male and female via Social Media Television and Radio Stations. This time around Dj kaywise is featuring more of all your favorite Artist and DJ’s Inclusive so there is gonna be a Massive Turn up so y’all be there with your Dancing shoes and good vibes.